Finding a health insurance plan doesn’t have to be a hassle in 2017. 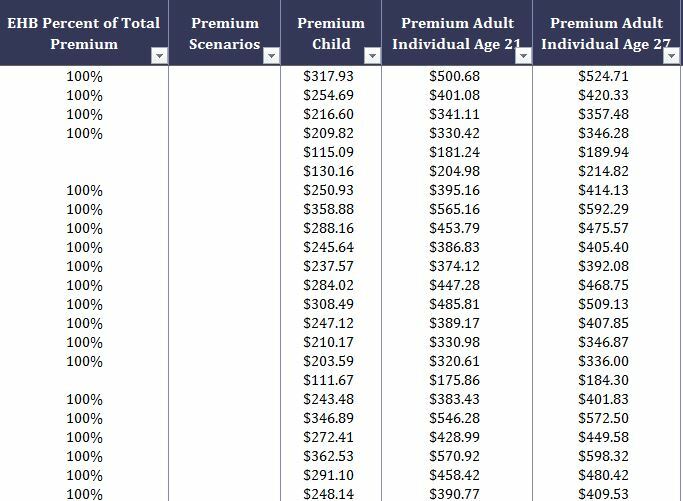 The free Health Insurance Plans for Michigan through North Carolina are a set of templates that use filters to help you find the plan that matches the coverage and price you need. No two people are the same so it goes without saying that you will likely need a plan all you own. Going through the thousands of plans offered by hundreds of health insurance providers would take a lifetime. This template makes the task take a few minutes. Just download the template, read the instructions below, and find the plan you need. It’s really that simple and easy to get started. These templates cover plans for Michigan, Missouri, Mississippi, Montana, and North Carolina. To download your free template file you can go to the bottom of this page and select the link with your state next to it. When the file finishes downloading, click it to open the Excel document on your computer. Take a look at the benefits of using this template and then learn how to use it by following the proceeding instructions. Now, let’s get started with a simple example. After selecting the state, county, and provider you want to browse, scroll over to the next set of columns, highlighted in purple, and choose the items that are important for you using the filters. Click the down arrow in the first cell of the column and deselect everything you want to vanish from view. The template filter will leave what you like available for browsing. Let’s say you want to go with an “HMO Value” plan. You would scroll over to the “Plan Type” columns and make sure a checkmark is only in that field. Using the remaining columns, it will be easy to find a plan that works well for you.